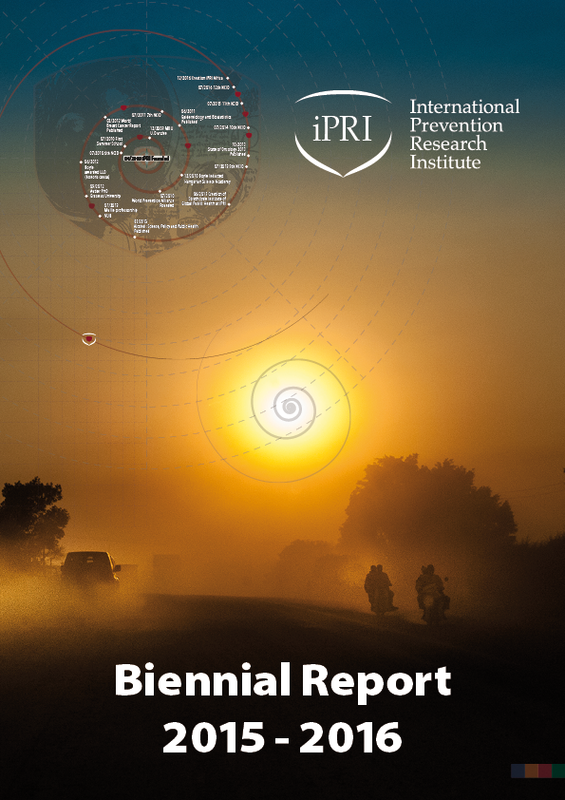 iPRI is pleased to present its 2015-2016 Biennial Report. Increasingly international attention is turning towards a focus on prevention. Prevention ranges over Primary Prevention, to reduce the risk of particular diseases, through Secondary Prevention, identifying chronic diseases early in their natural history when clinical disease may be avoided or the disease identified when it is curable, and Tertiary Prevention, preventing patients with disease from dying from their disease. Successful prevention relies on having secure information about disease determinants, the subset of risk factors whose alteration would lead directly to a reduction in risk, and then working with various sections of society to bring about the necessary changes. It is clear that any unilateral approach to prevention could not be successful. The road that leads from the discovery of a hazard to prevention is usually long and full of obstacles. The path to successful prevention leads through research to build the scientific database on which to build successful prevention programmes in populations. There are many difficulties which still need to be overcome even once the scientific evidence becomes overwhelming. The classical example is of cigarette smoking where the risk of various chronic diseases has been increasingly established since the middle of the twentieth century but decades passed before inroads were made to prevention. The temporal gap between the time when the evidence is available and certain and when the prevention strategy is implemented is still cause for concern. The example of the harmful effects of sunbed use and the history of the road to prevention of melanoma caused by this exposure is outlined in this Report. 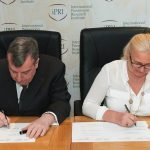 This report presents the work of the International Prevention Research Institute (iPRI) in the previous two years of its existence (2015-2016) and outlines the contribution which iPRI has made in some thematic areas notably Cancer, Diabetes, Africa, Ultraviolet Light and Skin Cancer and Health during Conflict and post-conflict Public Health. Studies in these themes cover activities conducted in a wide range of settings and all have had an impact on prevention. iPRI cannot undertake many of its prevention activities on its own and depends on close cooperation with many other specialist groups. iPRI staff are augmented by an international network of Senior Research Fellows who work actively with iPRI staff on a variety of projects. 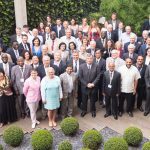 The establishment of iPRI-Italy, iPRI-Africa and iPRI-MENA allows deeper focus on regional issues of public health significance. 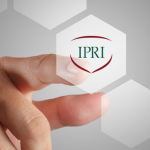 Like iPRI itself, these subsidiaries work on a not-for-profit basis. In addition, iPRI has close collaborations with a number of leading Institutes including the University of Strathclyde and King’s College London; these and other partnerships will be described throughout this Report. Our academic credentials are laid out in our lists of publications as books or in the peer-reviewed scientific literature. We have signed Memorandum of Understanding (MOU)s with the International Alliance of Patients’ Organizations, National Cancer Institutes (and Ministries of Health) in Vietnam, Hungary and Ukraine and three more countries have agreed to sign in early 2017. These agreements cover Cancer Control with a focus on Prevention and we have a partnership with the Prevention Foundation in Poland to help us. Statistics are Patients with the Tears wiped away. To help develop our focus on Cancer Control, we have an agreement ready to sign with the International Association of Patients Organisations. This philosophy comes across very clearly in the ‘State of Oncology in Africa’ Report and film which we will formally launch on World Cancer Day 2017.
iPRI also has Education as one of its central aims. In conjunction with the University of Dundee, we held a Summer School on Epidemiology and Global Health between 2010 and 2012. 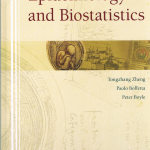 We developed a textbook on Epidemiology and Biostatistics designed for students attending such a short course and this text has been widely used at other courses, notably in China. 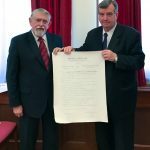 In 2013, iPRI signed an agreement with the University of Strathclyde to create the Strathclyde Institute of Global Public Health at iPRI. As well as having a research focus, it has a teaching focus. Successful and widespread implementation of effective prevention strategies will not only lead to increases in life expectancy but also, and importantly, healthy life expectancy. Prevention recommendations, unfortunately, have been made in silos: Cancer, Cardiovascular Disease, Diabetes, Infectious Disease, etc. To integrate knowledge of prevention strategies over common diseases, iPRI has produced evidence-based ‘Guidelines for a Healthier and Longer Life’. Developing a stronger focus on ‘prevention’ should hopefully increase population and legislation awareness about the need for prevention and lead to a more rapid implementation of scientifically-based strategies.